With our online lives increasingly moving to the cloud, keeping track of all the different communication channels, social outlets and document stores we use can become difficult. MultiMi, a new Windows app from anti-virus firm AVG, could be one of the best solutions to this problem yet. We were given a pre-release demo of the product – so how does it fare? The app lets you hook up your accounts on a wide range of services, from Gmail to DropBox and Google Docs, Twitter and Facebook to YouTube and Flickr. 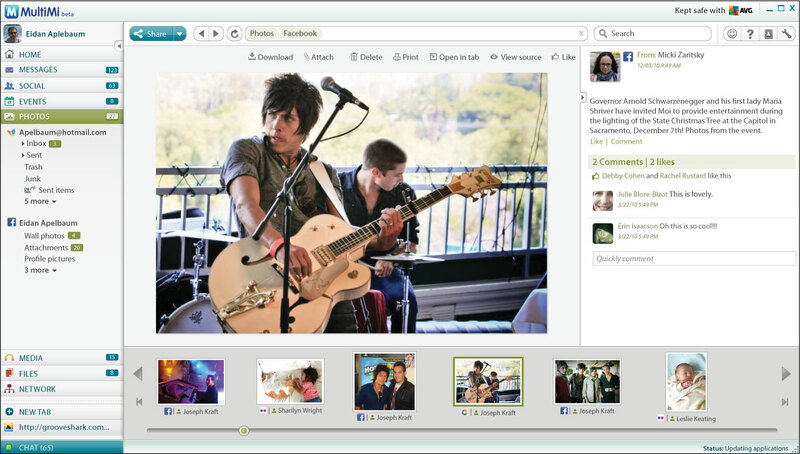 You can then browse your incoming messages, your photos, videos, documents and more all from one place. Not only that, but the app applies a ‘mix and match’ approach to how you can use all this information. Want to forward one for your emails to a LinkedIn account, attaching a relevance tweet from Twitter and YouTube video? Just throw them into the compose window together using a drag and drop interface and the MultiMi takes care of the rest, even re-uploading content to other services as required automatically. If you want to track your interactions with someone across a range of services, MultiMi lets you easily view them in one place, even narrowing down to interactions which included a number of different people. Developed by Israeli startup Zbang, MultiMi really does seem to be one of the best approaches to organising your online life from one place that we’ve seen yet. The company has received financial backing from AVG, and the app is being released today under the AVG brand for free following 15 months in development. Additionally, AVG’s anti-virus scanning technology has been built in to the app. 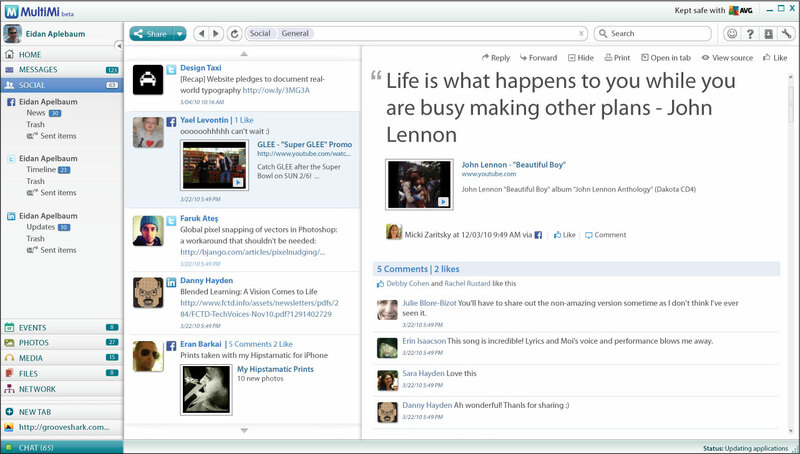 Initially, MultiMi is available for Windows only. The team explains that it “Had to start somewhere,” and the most widely used OS seemed like a logical place. Versions of the app for smartphones and tablets are both planned for the future. I’m sure Mac users will be keeping their fingers crossed for a native OS X version too. MultiMi requires Windows XP SP3 or higher, 1GB of RAM and 500MB of hard disk space, and can be downloaded here.